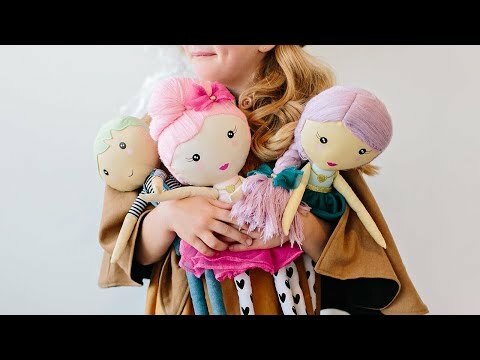 This soft, sweet-faced kindness doll wants to encourage kids to be kinder and more compassionate. (It’s also perfectly sized for hugs.) Each comes with 10 wooden kindness tokens for kids to pass on to a friend, teacher, server, or anyone who could use a little extra encouragement. 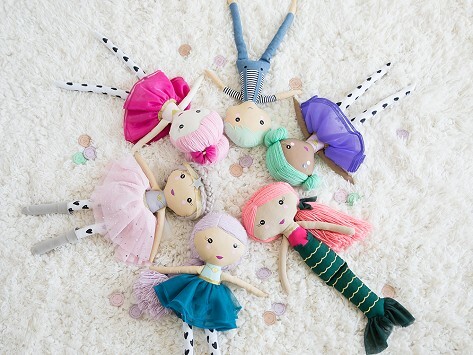 And for every doll sold, one is donated to a child in need, too. Dimensions: Doll: 18" x 5.75" x 3"; Tokens: 1.4" diameter x 0.1"
And to spread the compassion even further, for every doll sold, The Doll Kind donates one to children in hospitals, orphanages, and shelters around the world.